The museum has all kinds of artifacts and documents, from tanks and weapons, to uniform and equipment, to documents, to training aids. 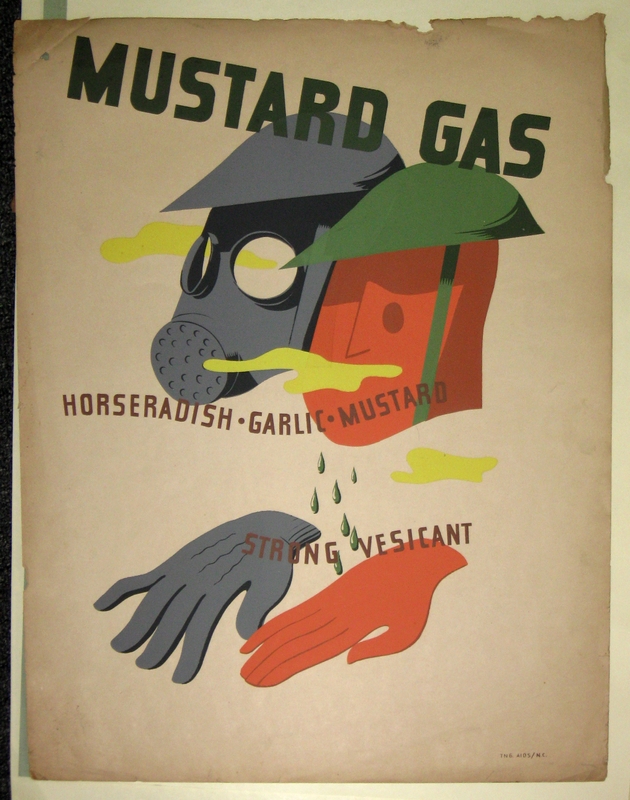 These four posters were produced during WWII as training aids to teach soldiers about poison gas which has been used extensively during WWI. In addition to their historic importance they also represent the artistic media of the time. 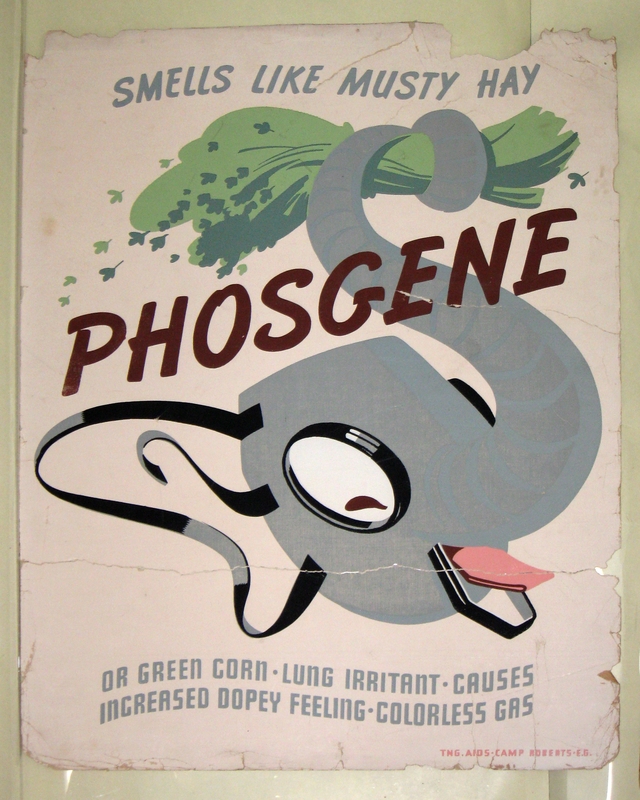 Usually a colorless gas, poisonous at room temperature, also used to make plastics and pesticides. 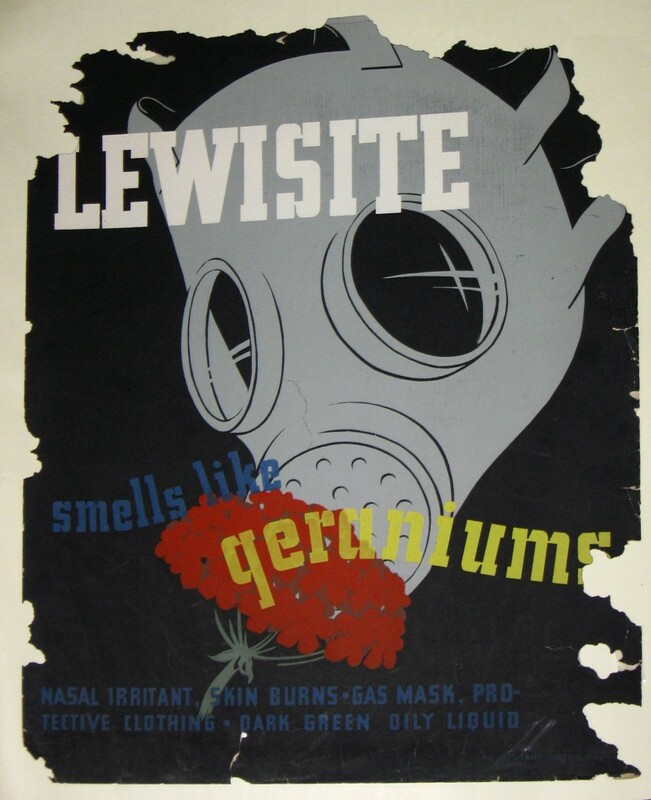 A suffocating agent it was one of the main gas killers of soldiers during WWI. Also known as “Sulfur Mustard” it causes blistering of the skin and mucous membranes. It has been used in warfare as recently as 1988. 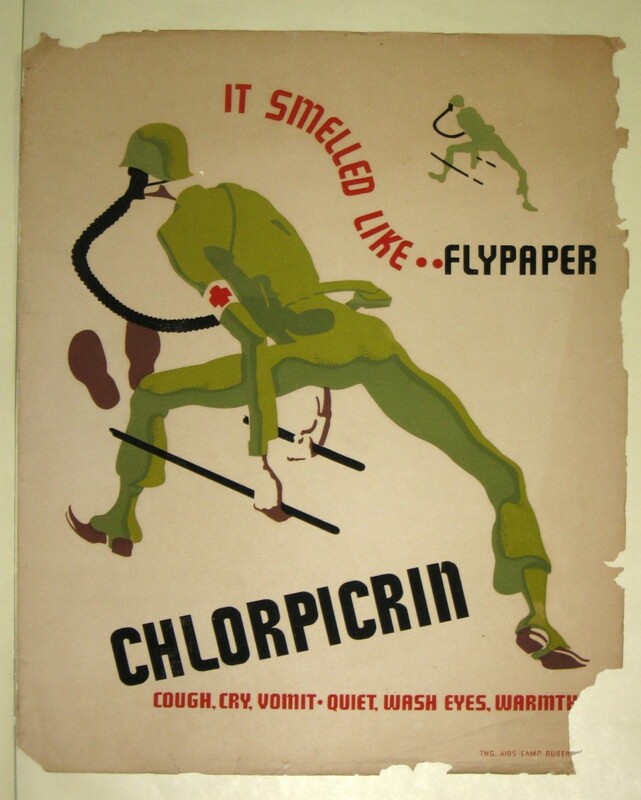 Used in agriculture as a soil fumigant, Chlorpicrin has been used in warfare and for riot control. It is similar in nature to tear gas.